One-third of Canadians say they plan to rely "heavily" on the CPP/QPP. 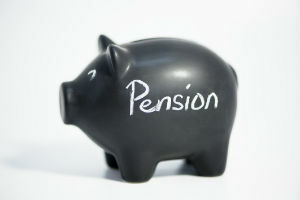 Almost 90 percent of Canadians plan to rely on the Canada Pension Plan/Quebec Pension Plan (CPP/QPP) to cover costs during their golden years, according to a new report from BMO Financial Group. BMO’s Registered Retirement Savings Plan (RRSP) study reveals that almost 31 percent of Canadians say they plan to rely “heavily” on the CPP/QPP, despite the fact that the average monthly CPP payout is less than $600. “Given the amount that the CPP or QPP pays out, Canadians should not rely on them as a primary source of income to fund their retirement,” says Chris Buttigieg, BMO’s senior manager of wealth planning strategy. “Rather, they should consider the CPP and QPP to be a supplementary component of their overall retirement income solution and focus on creating their very own ‘personal pension plan’ by [regularly] contributing to an RRSP.” RSRP is Canada’s equivalent of a tax-favored individual retirement account. Support from family/children - 28 percent.